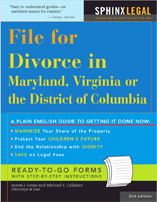 You are here: Home / Legal Crier Blog / Divorce Lawyers / Is DC Lawyer LeBron James’s Father? Is DC Lawyer LeBron James’s Father? LeBron James said last night that he asked his mother, Gloria James, for advice while he was making up his mind to play basketball for the Miami Heat. In the meantime, Leicester Bryce Stovell, 55, was filing suit in the U.S. District Court in D.C., claiming that he is LeBron’s father and asserting father’s rights. Stovell is a lawyer in private practice, formerly with the Securities and Exchange Commission. The 22 page, 95 paragraph complaint alleges Stovell met Gloria in a Washington bar in 1984 and goes through the history of their relationship. Stovel is suing both LeBron and Gloria for $4 million for fraud, defamation, misrepresentation, breach of oral contract and tortious interference with contract. http://tgclawyers.com/wp-content/uploads/2018/05/tgc-logo-1.png 0 0 James J. Gross http://tgclawyers.com/wp-content/uploads/2018/05/tgc-logo-1.png James J. Gross2010-07-09 14:52:242018-08-23 19:55:47Is DC Lawyer LeBron James's Father?